Yesterday I had a novel experience. I took Sally’s car back to the garage where we bought it so it could be taken for an MOT test. When I arrived the garage owner asked me if I could do him a favour. I said I would if I could. He asked me if I would look after the garage while he took the car for the MOT as his colleague wasn’t there. He told me that if anyone turned up in his absence I could tell them that he would be back soon. I agreed and he hopped into our car and drove off, leaving me in charge of the cars. I spent a while looking at social media and websites on my phone but after about 25 minutes I had got bored. I wandered outside and had a look at the cars for sale. There was still nobody around so I went back inside. I posted a selfie of myself in charge of the cars sales and posted it on Facebook. Then I played solitaire on the phone. 45 minutes had passed and still the owner had not returned so my mind started wondering and wandering. Perhaps the car had failed the MOT… that should not be a problem as the owner had said that he would make sure that the car got through. Maybe they were doing some work on it. Then I wondered if it might be some sort of reality / prank show and any minute now a series of awkward customers would turn up. This fantasy was fed by the fact that there are CCTV cameras at the sales yard and I could see what they were showing. Nobody came. Then I speculated what might happen if the police and trading standards turned up. Or what if he owed money and debt collectors turned up to tow away some of the cars? Or what if a rival came around and started smashing up cars? By now it was over an hour and my mind was running riot. I managed to struggle back to reality and remembered that the owner had left me his mobile number. I decided to send him a text message to ask what was happening. Just as I was halfway through the message the owner turned up. 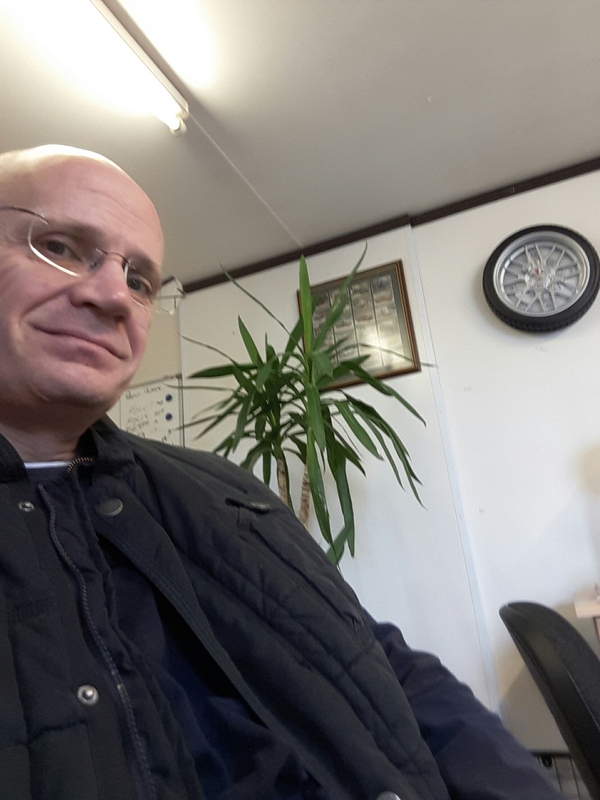 He explained the delay (although he was carrying a bag with his lunch that he hadn’t had with him when he left), told me that the car had sailed through, thanked me for looking after the car yard and gave me the keys. Sounds like a parable to me.